A simply lovely diamond band that contours perfectly around your engagement ring. A thin row of diamonds twinkle subtly around the curve. This ring is available in platinum, 18 karat white, rose and yellow gold. Please allow 2-3 weeks for special orders. 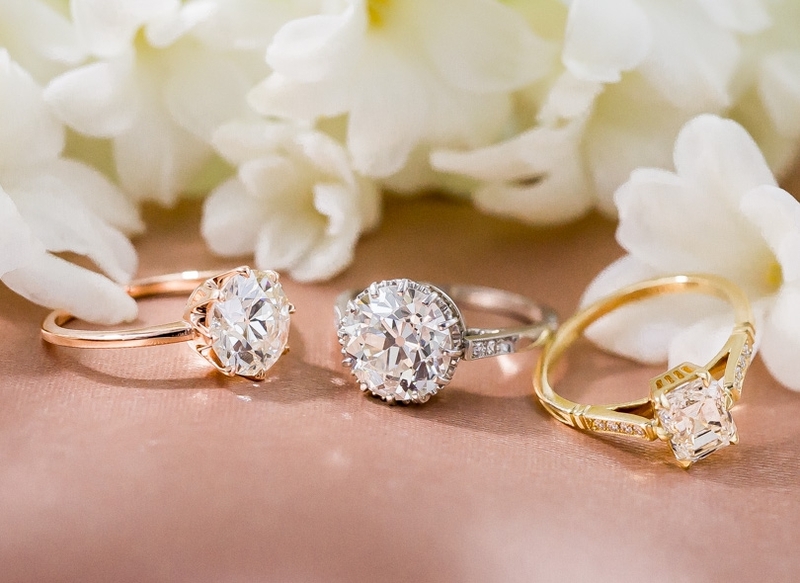 Original stones get chic, eco-friendly new settings in our line of engagement rings.